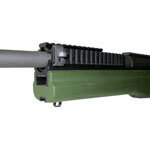 Sako rings and Sako bases along with Sako scope mounts are available under the Sako Optilock system. Correct ring and base combination along with mounting for the selected rifle scope and specific application can help take successful shots and get optimal performance. And the Sako rings and bases collection endorses the same. 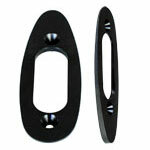 Sako Optilock ring mounts, bases and rings are made from solid blocks of steel, Cr-Mo alloy or stainless. 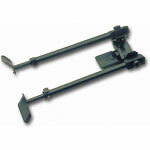 Sako Optilock front bases are equipped with solid angled left side and similar angled right side with a clamping aid. The base layout, connected to Sako firearm’s integral dovetail rail, lets the user adjust the the scope objective end’s horizontal position without touching the scope adjustment. Sako Optilock rings are divided into rings with four heights and two diameters- 25,4 (1 inch) and 30 mm so that they can be paired with any scope. 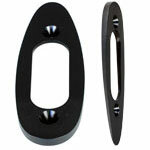 The inner scope saver ring is built of polymer and serves as a ball bearing to ensure the rifle scope tube does not get deformed. Sako ring mounts, on the other hand, are made out of solid steel to provide hassle free mating with the brand’s integral receiver tapered scope mount rails and offer optimal scope alignment. 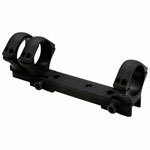 Sako scope mount bases lineup is made up of four variants for Sako and two for Sako TRG-22/42 firearms. Three factors need to be considered while choosing the right base model - action length, rifle scope tube length and eye relief. 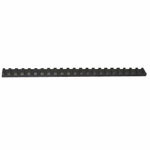 Optilock Weaver base comes in handy by facilitating the use of Optilock rings possible in all firearms with Weaver or Picatinny rails. Therefore, Sako mounts and rings along with Sako bases are extremely useful and efficient, and speak of superior craftsmanship. The quality renditions from the house of Sako are compatible with popular Sako rifles and many other firearms.